i'm in a synth pop flash at the moment in my penthouse suit. 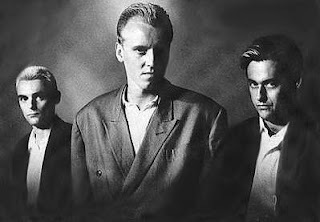 next joint by heaven 17. heaven 17 was formed as a side project in 1980 of the british electric foundation. the production company formed by ian craig marsh and martyn ware, after their depature from the human league. their first album came out in 1981, it is named just as this track but here we have the much better 12" version of penthouse and pavement. 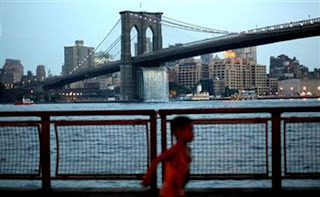 enjoy, it is a perfect party tune for the dance floor. at the moment my fave, i hear it thousand times at work today! such a cool track, brilliant. it was written 1981 by wally badarou one of the nonofficial members by level 42. wally who often worked together with phil gould and mark king from level 42 joined the band because he was well versed in synthesiser and a genius keyboarder and producer. in early times he worked together with such famous persons like joe cocker, herbie hancock, grace jones and many more. 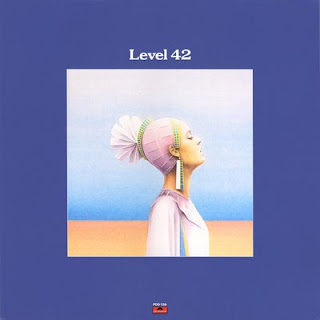 ok thats enough, now it is your turn if you want to know more about level 42 or wally badarou. this is a mix i did for some friends at hamburg. it was fun to select some old and new stuff i'm not usually playing at parties, hope you enjoy..
unbelievable oh yeah, the voice of luther vandross. 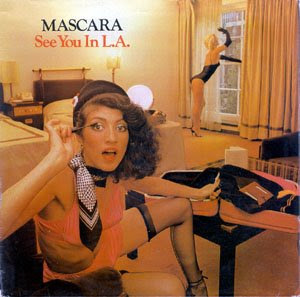 see you in L.A. by mascara is one of my favorite disco tracks of all time. it was crazy, the music of this track was produced in munich germany and the vocals laid down in new jersey usa. thats the reason why mascara was one more studio only conceived band. five years later after 'see you you i.n L.A' (1984) the got another hit 'baja' today featured on the metro area fabric mix and played by many disco dj's in the world. so let's go and see you in... .
this one is for tonight! 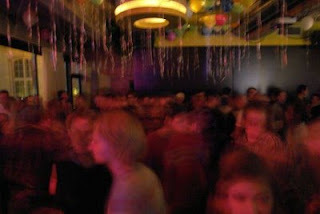 michael and i plays funky boogie at a big party at 603qm this evening. we hope we will see you there, your are welcome. 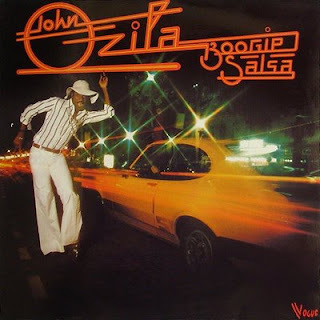 funky boogie by john ozila is a killer funk/soul track released 1979 as single or on the album boogie salsa by the french label disques vogue. finally this track was one of dj harveys mystery tracks on sarcastic disco. ok see you this evening! today i thought about the good old times when when jules, michael and i started 'frequencywithoutcontrol' with our residency at stella. 'love magic' was one of our favorite hits at this time, when i hear it i ever think about our wild party nights. a lot of things happend since that time but 'love magic' is always one of our duty records. ok it's enough italo disco for the next time, let's go back to the roots! here we have a nice disco/funk tune from arthur adams, one of the members of the crusaders (biggest hit street life with guest vocalist randy crawford, all people known from taratino's jakie brown). original released 1981 on the small us-label inculcation or later on the german label metronome. with this track you got the floor! 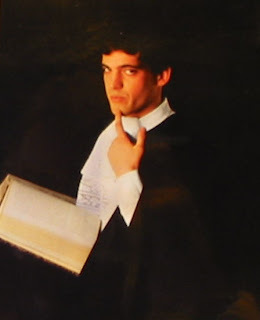 many italo tracks are real love songs. by this thousand of thousand tracks are the most bad once but in my opinion this among to the best. cheesy vocals with a very dancable beat and kicking handclaps, yes ready is the track to smooch with your girl or think about your women of your dreams. 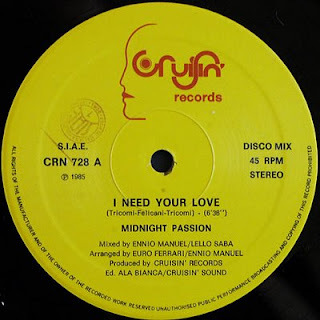 midnight passion was one of these hundreds of italo one hit wonders, very well there is nothing more to say. 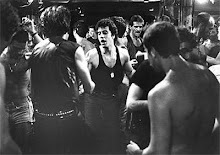 beyond this record it was released 1985 on the historic italo-disco company cruisin records (cruising gang and max him). oh yeah, this is one of the best! 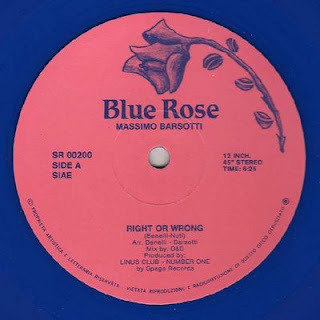 massimo barsotti's right or wrong-theme (blue vinyl on blue rose records, ooohhh), pure italo without any annoying parts and so on. i have nothing to say beside, with this track you are every time right! jules and i loves together 'superradio records'! here we have the next joint from this superb label, it is from barry mason, one of the singer's by camaro's gang (ali shuffle, motel lovers,...). together is a nice italo/synth track with a smooth bass, cool handclaps and with barry's uncommon voice. released 1984 also on a colored vinyl, you can choose between blue, red, yellow and green if you find the limited 2x12". the second 12" contain body ('get your body') also a monster track, keep your eyes open. ciao, ciao and have a nice night out. this is a nice cut up of a 70's italian softcore movie soundtrack item which send us our friend jonathan moore from london who runs the leftside-wobble blog. 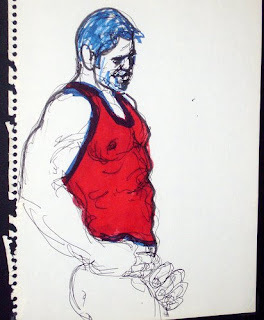 i think he made a nice sleazy edit perfect for warm hot summer nights, enjoy the moaning!